Stone siding is undoubtedly beautiful, and that’s why it’s coveted by so many homeowners. Unfortunately, it’s also very expensive and can be difficult to maintain. If you’ve always dreamed of enhancing your home’s exterior with real stone, but are unwilling or unable to make such a large investment or perform the required amount of maintenance, turn to 31-W Insulation for NextStone™ siding. Perhaps best of all, NextStone siding is backed by a 20-year limited warranty that protects against flaking, peeling, blistering, rot, rust, and corrosion. 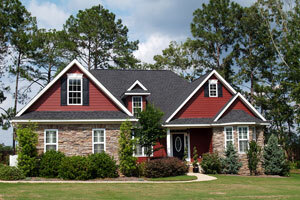 It truly provides the look of natural stone siding without many of the drawbacks. You can count on our talented team to install many other durable and affordable home remodeling products, too. In addition to simulated stone siding, we install bath accessories, shower enclosures, garage doors, closet organizers, attic insulation, and a multitude of other products. You can rest assured that we’ll help you find home remodeling products that suit your aesthetic preferences, meet your practical needs, and fit within your budget. Contact us to learn more about the home improvement services we provide for homeowners in South Carolina, Texas, Ohio, Alabama, and surrounding states in the South and Midwest.